Why is it so difficult to respond consciously when we are upset? Why do we instead resort to hurtful, repetitive, unconscious, reactive behaviors? Through an experiential procedure, The Presence Process reveals to us that we all have deeply suppressed emotional imprints programmed into us through personal experience and observing other's behaviors. This emotional imprinting unfolds automatically, like an energetic osmosis, throughout the first seven years of our childhood. Until these emotional charges are consciously identified and integrated, whenever upset, like programmed organic machinery, we automatically resort to reactive behaviors. The Presence Process procedure invites us to aspire to 'conscious emotional response' as a way of life, not just as a means to an end. Reading and applying the simple procedure in this book makes it possible for anyone, anywhere, to transform the quality of their life experience from one of uncontrollable, reflexive re-activity, to deliberate, considered responsibility. We all long to be free of our emotional outbursts and to instead experience increased inner calm responsiveness in the face of unexpected difficulty. What The Presence Process procedure reveals through direct experience, is that any attempt on our behalf to get rid of our emotional discomfort through reaction is futile. Instead, it experientially reveals to us the miraculous transformation which unfolds when we embrace the lifestyle of conscious emotional responsibility. The Presence Process is an intimately guided journey into embracing full responsibility for our imprinted emotional condition. It is a simple, step-by-step pathway for us to rescue and renew the unhappy child within us. It empowers us to grow up emotionally. The causal point of the emotional upsets that occur throughout our everyday experiences are not, as they seemingly appear, within the actions of others, or the outer circumstances that trigger them. They are only reflected as such. The truth of this predicament is however challenging for us to perceive, especially when the world we live in behaves to the contrary. 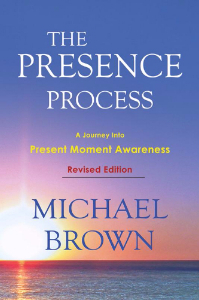 To accomplish effortless perceptual course-correction, Michael Brown wrote Alchemy Of The Heart. This short and entertaining book takes us on a journey which deliberately reflects the various stages of our own life experience back to us. Through this process of self-reflection, through seeing how we enter this world and are energetically shaped by our initial interactions, the perceptual penny drops and we effortlessly have the required 'Aha!' moments. Consequently, we are awakened to the awareness that the only loving approach available to us for achieving perceptual course-correction, one which simultaneously empowers absolute personal responsibility, is through the conscious application of what Michael calls, 'unconditional felt-perception'. Through consistently applying unconditional felt-perception whenever emotionally triggered, we are empowered to 're-parent ourselves', and so also to systematically integrate our childhood imprinting. 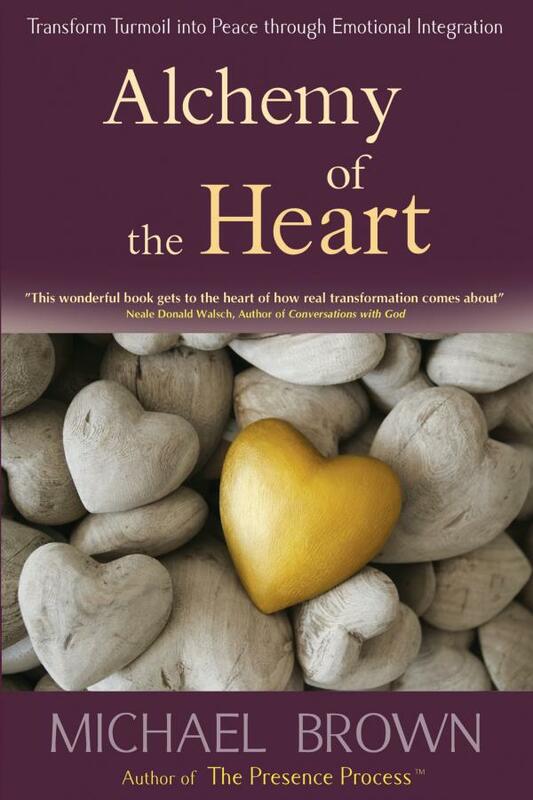 Instead of expending large amounts of energy and resources 'trying to feel better', Alchemy Of The Heart effortlessly places us upon a revitalizing pathway that reveals how the quality of our life drastically improves when we instead choose to, 'get better at feeling'.